Hope you can make it! 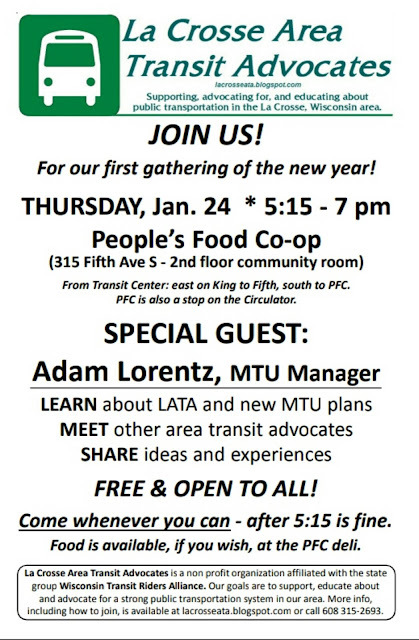 We'll also have info about how to officially join LATA at this event (and door prizes). Note: Because of remodeling at the co-op, grab and go items won't be available. But Deli counter and meat department are open with soups and sandwiches and the weekly hot special available as usual, along with the pastries and salads.